RoboCupRescue Simulation is a large-scale multi-agent simulation of urban disasters where, in order to save lives and minimize damage, rescue teams must effectively cooperate despite sensing and communication limitations. 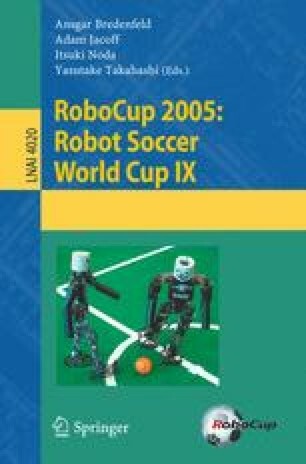 This paper presents the comprehensive search and rescue approach of the ResQ Freiburg team, the winner in the RoboCupRescue Simulation league at RoboCup 2004. Specific contributions include the predictions of travel costs and civilian life-time, the efficient coordination of an active disaster space exploration, as well as an any-time rescue sequence optimization based on a genetic algorithm. We compare the performances of our team and others in terms of their capability of extinguishing fires, freeing roads from debris, disaster space exploration, and civilian rescue. The evaluation is carried out with information extracted from simulation log files gathered during RoboCup 2004. Our results clearly explain the success of our team, and also confirm the scientific approaches proposed in this paper.